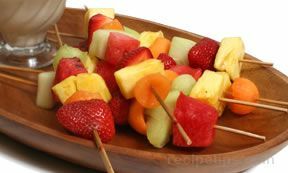 Peel and cube mango, wash the strawberries, cut into bite size pieces, and set aside. 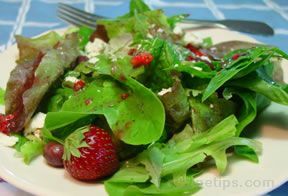 Wash approximately 8-10 large romaine leaves; dry and tear them into bite size pieces and place into a salad bowl. 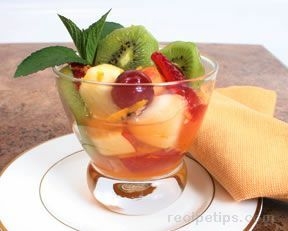 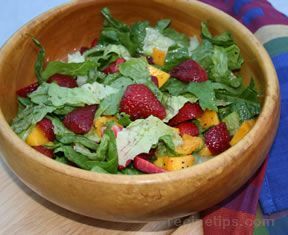 Toss in the fresh fruit and drizzle enough prepared salad dressing over salad to coat everything - serve immediately.